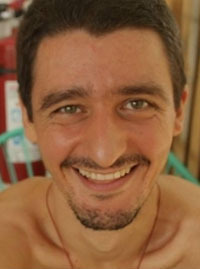 Before finding yoga, Georgian earned a bachelor’s degree in Psychology, became a massage therapist, and trained in martial arts, kickboxing, swimming, basketball, and chess. Inspired to begin studying yoga by his uncle, he practiced for seven years at MISA (Movement for Spiritual Integration into the Absolute) in Romania. He spent a further four-and-a-half years residing at an ashram in Romania, deepening his practice of karma yoga, hatha yoga, and meditation. 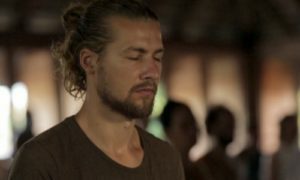 At a turbulent point in his life, Georgian discovered the Kamala Meditation and Yoga Center in Brasov, Romania. He spent four years in service at Kamala, which included translating for Sahajananda during meditation retreats. This experience led Georgian to join the Hridaya Yoga Retreat: Module 1 Intensive and the 2015 Hridaya Teacher Training Course. Although he now holds the title of teacher, Georgian believes we are all students in life. Throughout his path, Georgian has found a deep freedom in practicing yoga and meditation, freedom to dis-identify from habitual patterns and come to know the Self. In the future, Georgian aspires to open a Hridaya center in Australia.